The Memorial Candle Program has been designed to help offset the costs associated with the hosting this Tribute Website in perpetuity. Through the lighting of a memorial candle, your thoughtful gesture will be recorded in the Book of Memories and the proceeds will go directly towards helping ensure that the family and friends of Father MacDonald OFM Cap. can continue to memorialize, re-visit, interact with each other and enhance this tribute for future generations. Condolence: Ron and Armi (Anne) Berresford, We opened a beautiful Christmas card to learn Father Joe went home to be with the Lord last summer. We are saddened but so very grateful to have known him. Our first meeting was in the 70s as he was gathering items for the Brothers' Store from a friend in Toronto. A visit to Our Place comes to mind; it was overflowing with warmth and care for the people who came to find a meal and friendly talk. And we often think about his kind words, "Well you come home now" to a resident in Berkeley who called. God bless each of you, Father Joe's biological family, friends, volunteers and staff as this precious work continues. 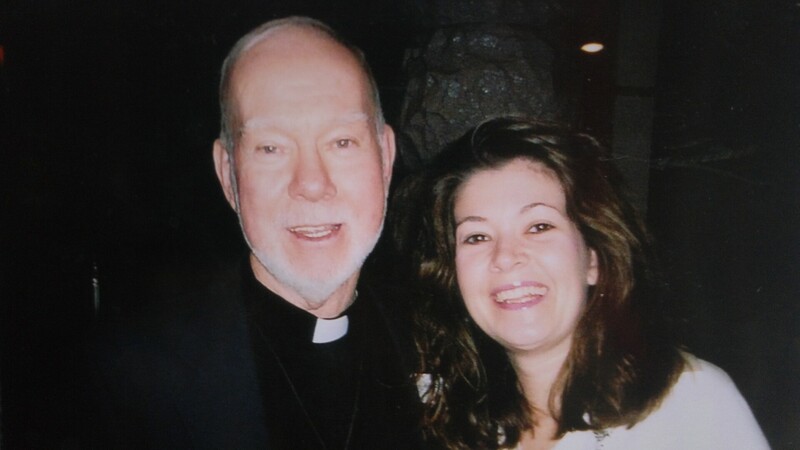 Condolence: My name is Charlie (Charles/Chuck) Burton, and Father Joe was one of a group of priests, all of great integrity, who taught me at Mount Alverno in Orangeville Ont. I am very glad he had such a fulfilling life. I like to think that he was one of many who had a great impact on my life, which took me through PhD studies, 13 years at the Federal Department of Finance, husband and fatherhood (2 girls, one of whom is now a medical resident at Harvard), and semi-retirement here in Ottawa. Well done and thanks, Father Joe!! Condolence: Our deepest Sympathies to all the family of Fr. Joe, a person who touched many people lives throughout his life. 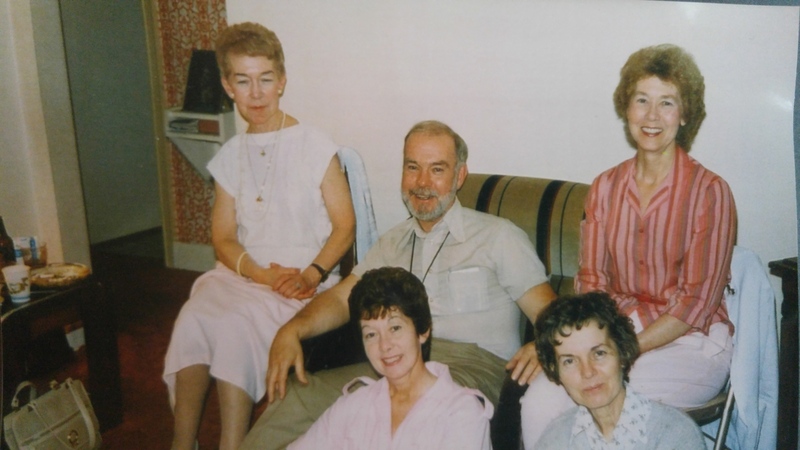 He was a great friend of my mom after they met in Toronto many years ago and there were many happy memories of his visit with her in Ireland on one of his very rare trips overseas. May he rest in peace. Condolence: Joseph was a candle in the window when I arrived in Toronto from the prairies. After a breakdown I met this crazy OFM Cap who asked me to come stay with him at St Francis House on at 186 Mutual Street in Toronto. I can remember waking up in the mornings and after morning Mass the laughter we would all share through out the day. Because of him I met my life long partner and wife Karen at Our Place. Because of him I am a far better more well rounded man and father. He now rests in the fathers hands but if I know Joseph he is sitting at a table with Jim Kelly and his favourite sweetheart Sister Margret Quinn and others who have passed that he allowed to share the bounties of his table. His contributions for a better Toronto especially those whom suffered from mental illness, and his efforts on finding them affordable housing through St Judes homes will not be forgotten. He will always remain the Saint of Yonge and elm street for as long as we live until we join him at the table again. Unfortunately I can not be there to help send you off Joe but your family and friends can rest assure heaven has gained a new saint. Gods Speed And Gods Peace be with you my friend! Condolence: I had the pleasure of attending the ordination of Fathers Joe, John and Ron in 1965. Three great men, three terrific priests of the Capuchin Order. What wonderful work Fr. Joe did for some of the poorer of our communities...May you be welcomed into heaven with open arms...God Bless you! Condolence: I first met Fr. Joe at Shoppers Drop In where I volunteered for a few years. 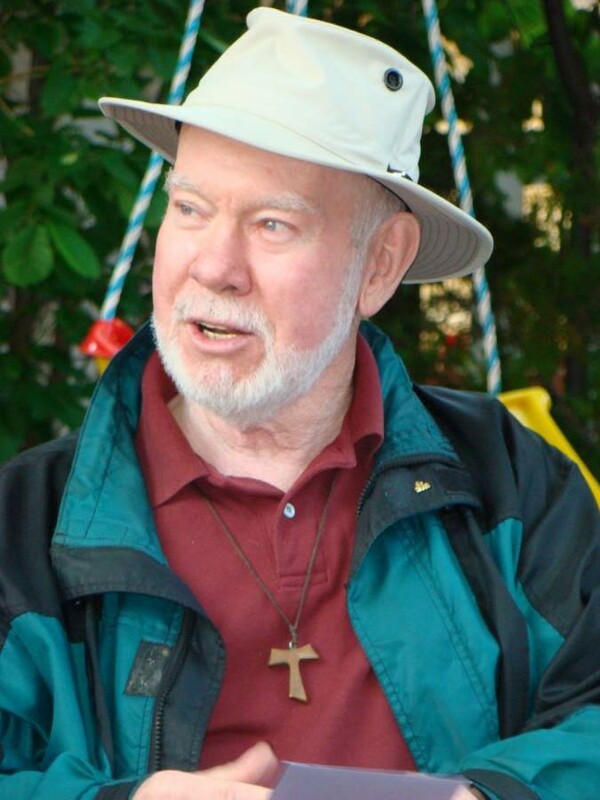 Later I reconnected with him when he was on the board of directors for St. Mary of Egypt Refuge. A wonderful humble man of God who shared his love and faith to all who knew him. 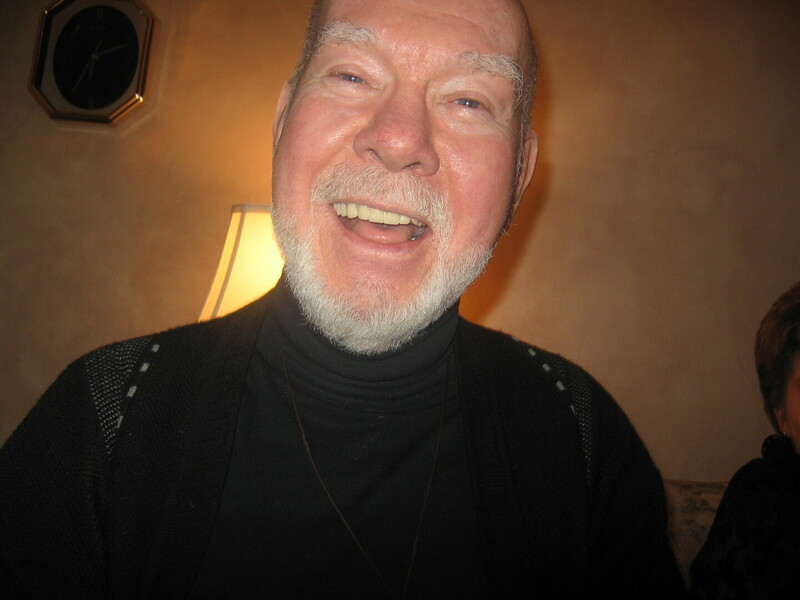 Rest in peace dear Fr. Joe. Please pray for us. 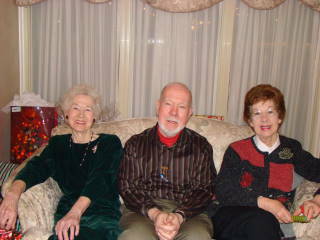 Condolence: My condolences to Lorraine, Frank , Heather and to Father Joseph’s entire family. I have fond memories of attending early morning Mass downtown at Fr. Joe’s House celebrated by Fr. Joe daily with his companions. During Mass, it felt like we were all “standing on Holy Ground,”and I can still remember all of us vibrantly singing that beautiful hymn, in particular. He loved people and naturally extended an invitation to join him there for breakfast after Mass. On one occasion, my friend Mary Marentic and I stayed for breakfast and we had a wonderful chat with Fr. Joseph, as he was interested in many subjects. He was an intelligent, humble man devoted to prayer who lived out his heart for the poor and marginalized; as one among them. He will be fondly remembered and dearly missed. His reward will be great in Heaven. Condolence: Father Joe always walked the talk. And they were giant steps. I am honored to have known such a great man and to have had the opportunity to learn and be guided by him. I would be a much better man if I could but walk in his shoes. 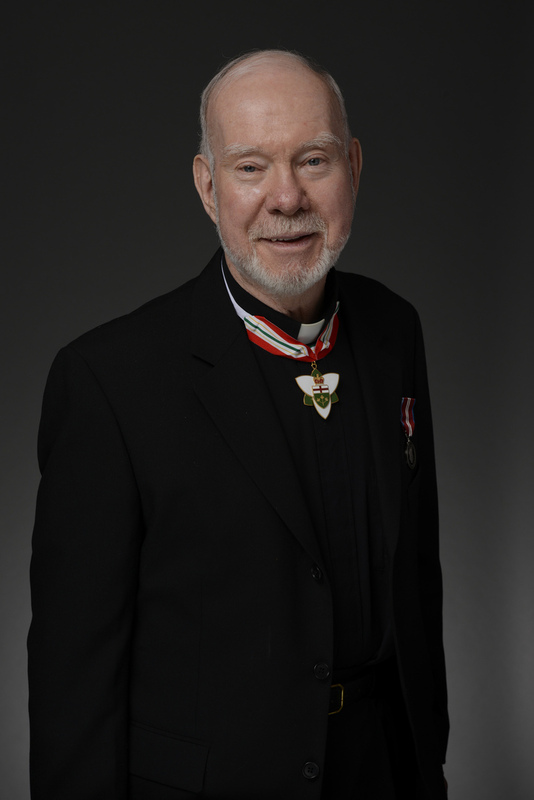 Condolence: Our condolences to the Mac Donald family: It is very sad to hear of the passing of such a Great and Noble soul as father Alastair Mac Donald. As I grew up my mom Erin always told me of all the amazing things that Fr. Alastair did for the poor, homeless, and those who needed comforting words in hard times. I can only hope to achieve some of the the great things that he has accomplished in his life time. May he rest in peace and watch over all of us. Condolence: We will miss our dearest Uncle Alastair so so much. You left us so suddenly. You married us and baptized us and we enjoyed so many joyous family celebrations with you. We are so proud of you. You were the most amazing example to us of authentic humble Christian service and of giving care to our fellow people whoever and wherever they are , above all else. Your life’s work and ministry took so many forms and your thinking so enterpreuneurial, allowing the Spirit to guide you, often to new or unchartered paths. Your welcome to people on sea vessels visiting the Toronto harbour decades ago, your welcome to people on the Yonge Street strip in the 70s, your support of the poor through the Brother’s stores, your literal feeding of street people on Saturday nights in Toronto’s inner city and your support of ex-psychiatric community through Poverello Charities - all responded to the needs of every day people at those particular times. You will continue to inspire us and we will miss you and your sense of humour in our lives. We have always been happy to share you with your Franciscan Capuchin brothers and your Poverello family. Fr. Joseph’s biological family wish to convey our condollences to everyone in the Poverello Community.